The lights in the arena were bright. The beer was cold. 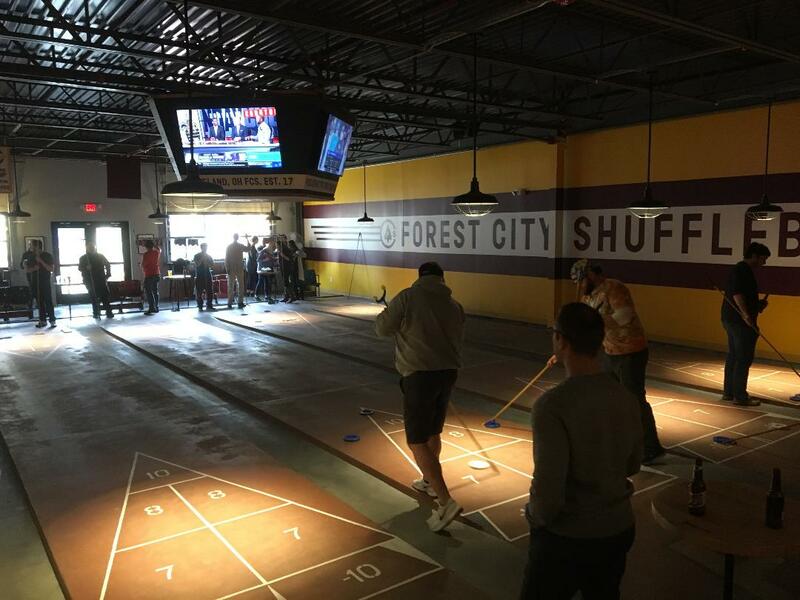 While most of the world was on pins and needles anticipating the USA National Shuffleboard action in Bradenton this week, 16 doubles teams played a fun tournament at the Forest City Shuffleboard Bar on America’s north coast in Cleveland, Ohio on Sunday, October 28, 2018. Represented among the 32 players were 5 pros, including 3 USA NSA champions. Forest City has over a hundred teams play in their weeknight leagues! The league players welcomed the pros with too many smiles and high fives to count. Strategy was discussed openly during the games. The old adage to watch out for shufflers with local knowledge held true. Court speed of 2.2 seconds from kitchen to kitchen challenged the pros. The local players knew how to take advantage. Forest City’s Rahul Bhatka and Ryan Hillman outlasted Lakeside’s Jon Oglesbee and Trent Brown to win the championship match. Brooks Pauly and James Kruse, also from Forest City, won the Junior Varsity division. Forest City is planning to continue one day tournaments the last Sunday of every month. Checkout their website and Facebook page for registration info. 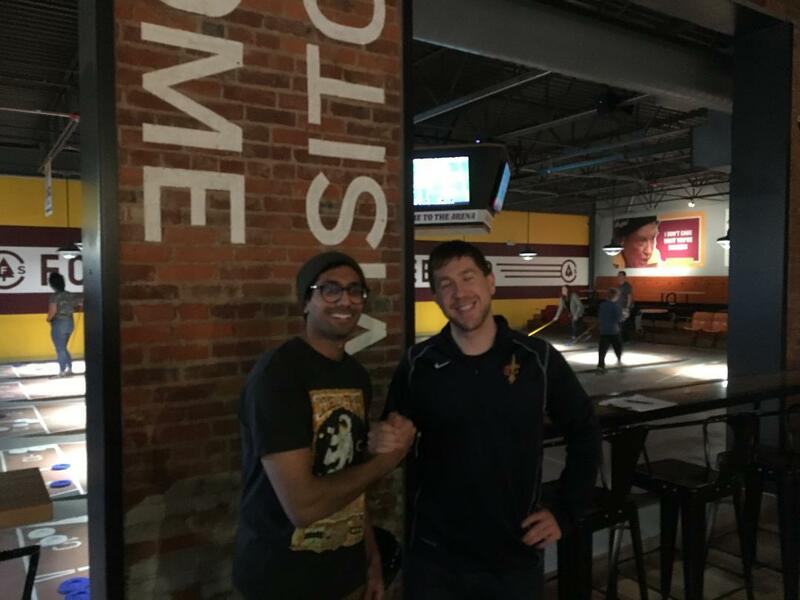 If you have the opportunity to visit one of the many shuffleboard bars around the world, I suggest you stop in. You will find lots of friendly people whooping it up and having fun playing a great game, many who are hungry to improve and learn. https://ohioshuffle.weebly.com/ Sent along by Bob Jones WITH THANKS!! 1 Response to Forest City report from Bob Jones: The lights in the arena were bright. The beer was cold. Wonderful article Bob! Love hearing about new venues and young people playing!